Precise thread eliminates problems with screwing the connectors on sockets. 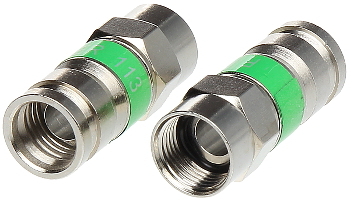 Double compression rings on the cable and the O-ring seal at connection side fully protect the cable and the installation equipment against water penetration. Quick and easy assembly, as well as stability of operation of the equipment are really worth the price.